Seoulmates was formed by Emily Stanton and Rachel Seaman in 2013. It started as a local radio show on GrowRadio.org and evolved into a podcast in 2015. Twice a month, Emily and Rachel discuss the latest in K-pop, anime, dramas and nerd culture in their half hour podcast. They documented their travels to Japan and South Korea through the podcast and Seoulmates’ YouTube channel. 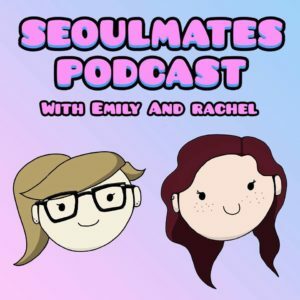 Check out Seoulmates Podcast at www.seoulmates.podbean.com.